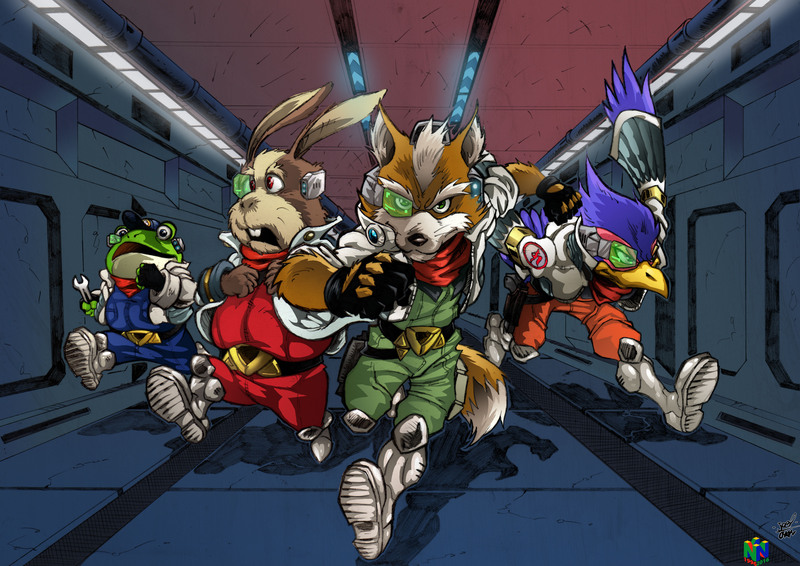 “One of my earliest memories from Starfox are definitely the puppets from the original SNES title cover art and the infamous polygon visuals. Despite to say that I end up loving the game, so it was only natural that I got thrilled with Starfox 64. The Nintendo 64 was a beast of a machine, with games that looked and sounded like they came straight out of our dreams such has Super Mario 64 or The Legend of Zelda the Ocarina of Time, I couldn’t wait to put my hands on this space adventure with Fox Mcloud and his gang. 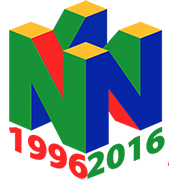 So with the cartridge in the slot, the n64 logo appears followed soon by the starfox team rushing to their arwings–to me this is my most memorable moment, seeing them in all 3D glory! “What fascinated me most with Star Fox 64 was the incredible amount of world building Nintendo did for it. Not much is mentioned in-game, but the official guide was full of details about the planets and its inhabitants, tidbits of history, archeology, geology, etc. 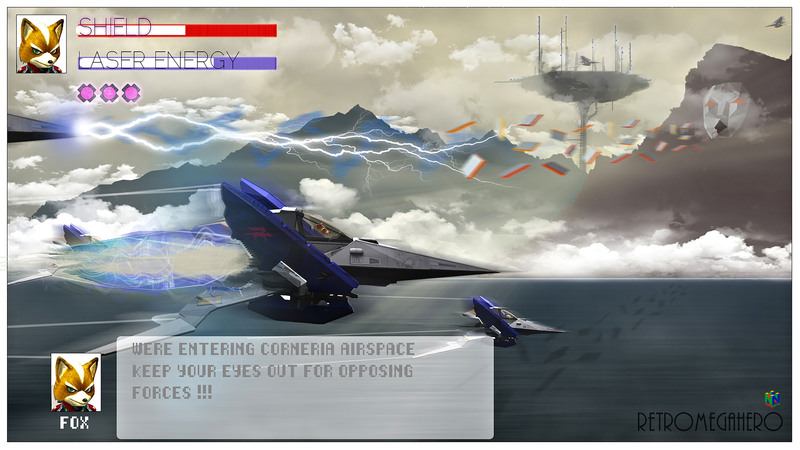 This made Lylat into such a rich universe that playing Star Fox 64 isn’t so much about shooting down enemies that it’s about feeling the need to *protect* all that is threatened by Andross and his army. As much as I liked Star Fox pre-64, it’s the world building of 64 that truly made me fall in love with this series. As for the console itself, that may sound funny and unbelievable in this time and age of hyperralism, but the graphics of the N64 were so beautiful and lifelike back then! It was the most realistic games had ever looked. Seeing series that had always been flat and 2D suddenly spring to life in *gasp* glorious 3D was breathtaking. That alone plays a lot in my nostalgia for N64 games, because the feeling of immersiveness was just incredible. Star Fox 64 aka Lylat Wars in Europe is a sequel of Star Fox (Star Wing in Europe) that was one of the few true 3D games on the Super Nintendo. It was going to get a direct sequel on that system which was directly developed by Argonaut together with Nintendo again, but the project got cancelled since Nintendo wanted to have a new Star Fox on their new console. The game was released first in April 1997 in Japan and a few months later in the USA and PAL Regions (Europe & Australia) It received mainly very positive reviews and is till today known as one of the best games in the series. 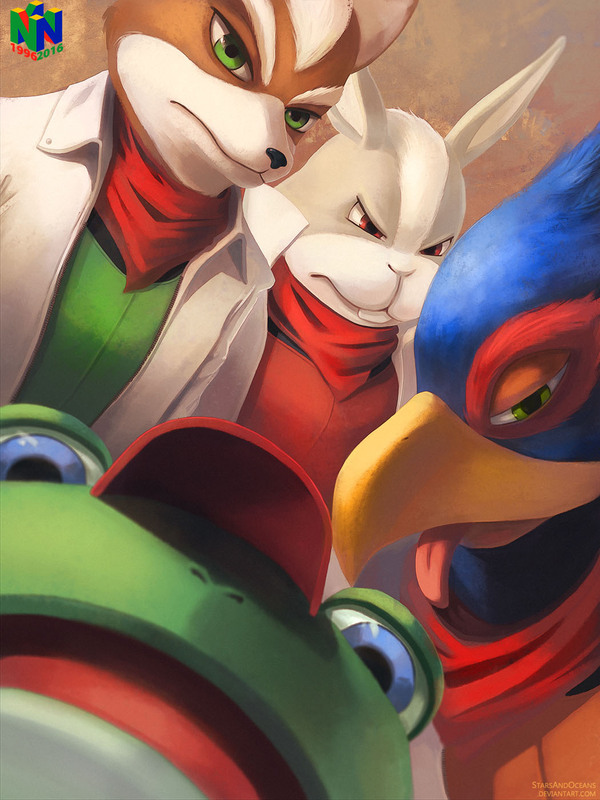 The last sequel, Star Fox Zero that was released in 2016 for the Nintendo Wii U was seen as a remake of SF64 by some of the reviewers, some even complained the game would feel like it 20 years old. But sometimes that is not a bad thing.